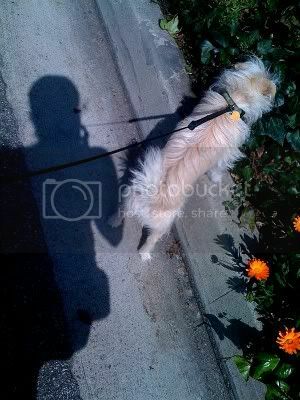 walking is serious business to stella the dog....lots of scents to catalog. That doggie is on a mission! lock down on sector 7!!! !